When your company has a plan from ACEC RT, you can sign up for your own Personal Financial Portal. 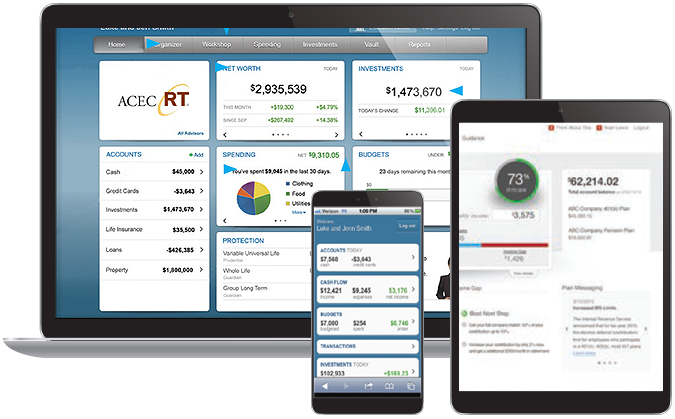 It’s your financial control center, with interactive tools that keep you on top of the numbers that matter, on any device including your mobile phone. Know where you stand. Chart what-if scenarios. Interactive budgeting and savings tools show you everything you’re making and spending and everything you own (savings, investments, real estate), all in one place, updated in real time. Chart how long your savings will last when you plan to retire. You can even use your portal to make changes to your Plan allocations. Already have a Portal set up?